TORONTO – For a company to survive and thrive for decades, it requires keen leadership, savvy business sense and a constant eye to the future. In 2017, W.M. Weller Tree Service LTD. celebrates not just decades, but a full century of success as a family-run tree care company, serving an enviable list of municipal, commercial and residential clients in the Toronto area and throughout Ontario. Enduring for 100 years goes beyond sharp business sense and inspirational leadership; it requires generations of enduring intelligence, persistence, devotion to the company and long-term dedication to customers. It requires the utmost communication and cooperation at all levels as the company’s legacy passes from generation to generation. W.M. Weller Tree Service is owned by Bruce and Neil Weller, but the day-to-day operations of the company are now handled by their children. It was Bruce’s great-grandfather Robert Franklin Weller who started the business in 1917. To give that some perspective, W.M. Weller Tree Service dates back to when World War I was still being fought. The National Hockey League was formed that year, and just five years prior was the sinking of the Titanic. The company predates the development of the first portable chainsaw, which debuted in 1918 but wouldn’t see widespread use for decades. It gives me chills to think about it—my son is here, and I have grandkids that are 15 years old that come out and help us. My grandfather started in when he was just a kid, moving trees by sleigh or wagon. Today W.M. Weller’s fleet is large enough to keep 150 employees extremely busy. That fleet includes several large boom trucks, 20 knuckle booms, more than 30 Bandit hand-fed chippers and a few Bandit stump grinders. 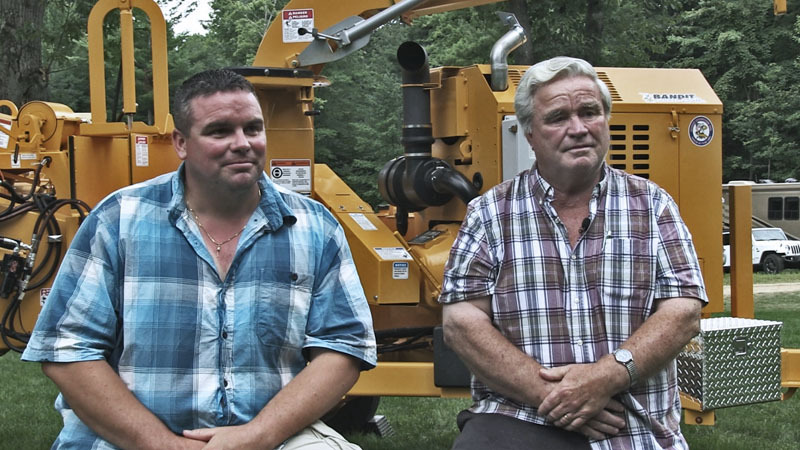 The day-to-day company operations are handled by Bruce’s children Michael, David and Christel and nephew Rob Weller, and Bruce says all the machines are out every day. In fact, W.M. Weller Tree Service is in such demand that they’re typically booked for work six months in advance. With such a year-round schedule, Michael says reliability of the equipment is key. As W.M. Weller expanded through the 1990s, their need for equipment grew as well. Though the company had once employed 90 crews back in the 1950s, operating with 10- 15 employees had been the norm for much of Weller’s history. According to Bruce, that changed when his two sons Michael and David and nephew Rob got involved. We’ve probably had at least 60 of them in the yard at some point. We have a lot of Model 150XPs, 200XPs; they’ve been great at battling the emerald ash borer. That’s why W.M. 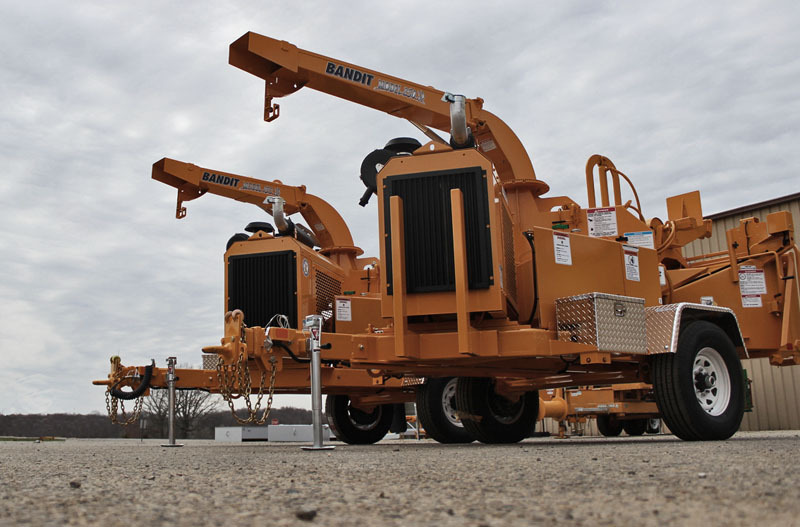 Weller expanded their chipper fleet to over 30 Bandit hand-fed disc-style chippers. In addition to their fleet of Bandit chippers, W.M. 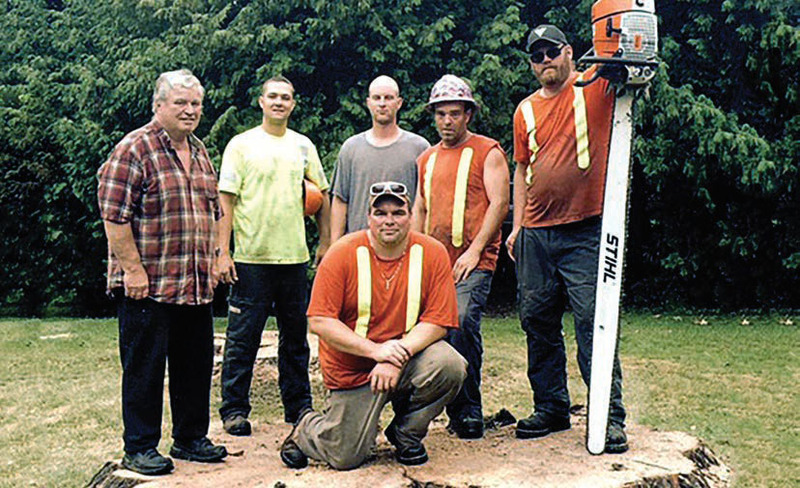 Weller recently invested in Bandit stump grinders. They had specific grinding benchmarks to meet, and they found exactly what they needed with the Model 2890. I’ll pull up to a job site and see some of the stuff the guys are feeding through, and I just shake my head—I can’t believe it’s going through as easy as it is. In addition to handling the day-to-day happenings in the business, Michael also manages the vast array of equipment in W.M. Weller’s fleet. In that role, he’s seen firsthand the literal value of Bandit machinery from an investment standpoint. The large workforce, vast fleet of equipment and long history in the area makes W.M. Weller the go-to company when natural disasters strike. Emerald ash borer is rampant throughout the area which already keeps tree crews busy. There are also the wind events and ice storms that can lay waste to trees. That’s when the far-reaching experience at W.M. Weller comes into play. Talking with Bruce about such events it’s easy to see why they company has existed for 100 years. W.M. Weller is also the go-to company for work of a slightly more festive nature. 100 years in business is a tremendous milestone that few companies ever reach. But after talking with Bruce and his son Michael, it’s very easy to see the work ethic that’s led W.M. Weller to success. Much of our work is municipal so it’s like ‘on to the next job’ and so on, but at the end of the day it’s about production. At the end of the day, you like to see how much you’ve accomplished. That kind of longevity is also dependent on people truly loving what they do. Work ethic certainly matters, but for a family business to establish such a legacy for 100 years requires something truly special. That missing ingredient is often intangible, but Bruce sums it up perfectly with a short story. Bandit Industries congratulates W.M. Weller Tree Service LTD and the Weller family for a century of success and service to their clients and communities. We are honored you’ve chosen Bandit to be a part of your company’s history.